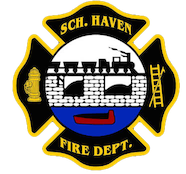 August 24, 2012 – At 06:47 the Schuylkill Haven Fire Department was dispatched to 401 University Dr. N., Manheim Township for an automatic fire alarm. Just as all units became enroute, Chief 720 arrived on scene and advised of a false alarm placing all units clear and available. August 23, 2012 – At 04:33 the SHFD was dispatched to 252 Dock St. in the borough (the Jerusalem Lutheran Church) for an automatic fire alarm. Just as units began to respond Chief 720 advised of a false activation and placed all units clear and available. August 23, 2012 -At 00:39 Stations 1 & 2 were dispatched to the area of 199 Dock St. for a vehicle accident with fluids down. Chief 720 arrived on scene and found a single car accident with the vehicle on its side and leaking gasoline. Crews secured the fluids and assisted the tow company with cleanup. All units were onscene for approximately 25 minutes. August 22, 2012 – at 23:15 the SHFD was dispatched to 20 St. John Street in the borough for smoke in a structure. Crews arrived quickly on scene and found the source of the smoke to be coming from burnt food. Fire personnel used PPV fans to ventilate the residence. All SHFD units were on scene for approximately 20 minutes. Chief 720 had command. August 15, 2012 – at 05:13 the SHFD was dispatched to 252 Dock Street (the Jerusalem Lutheran Church), for an automatic fire alarm. Crews arrived on scene to find the alarm in a normal state. Fire personnel searched the structure for any issues and found none. August 13, 2012 – At 09:50 the SHFD was dispatched to 66 Avenue C in the borough for smoke in a house. Just as all units became enroute SCCC advised of a possible oil burner malfunction. Crews arrived on scene secured the boiler, and checked the chimney and attic for any extension using a Thermal Imagery Camera. Chief 720 had command. August 13, 2012 -At 1244 hrs. Stations 1 & 2 were dispatched to the area of E. Main St. and Avenue A for reported hydraulic fluid on the roadway. Crews arrived on scene and secured the fluid by using numerous bags of absorbent. Chief 720 had command and units were on scene for 25 minutes. August 13, 2012 – At 0952 hours the SHFD was dispatched to 66 Avenue C in the borough for a possible oil burner malfunction and smoke filling a house. Crews arrived on scene secured the oil burner, and setup a PPV fan to ventilate the house. After the smoke was cleared all units were placed available by Chief 720. On August 10, 2012 just after 6 AM Station 4 was dispatched for Wagon 736 to 121 N Main Street in Shenandoah for a working structure fire. Fire personnel arrived on scene and assisted with numerous tasks including overhaul and accountability. Station 4 responded with a crew of 6 FFs and were on scene for more than 4 hours. The incident went to a total of 5 alarms. July 8, 2012 – At 2135 hours Stations 1 and 2 were dispatched to Fritz Reed Avenue “The Island” to set up a landing zone incoming Medevac 7. Fire personnel established a secure area for the bird to land and assisted the flight crew with patient transport. Chief 722 had command.